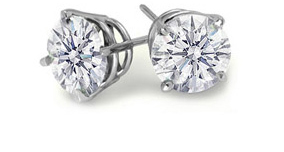 At MDC Diamonds we have a wide selection of fine jewelry perfect for any occasion. Select a category from below to find just the right piece of jewelry. With perfect persicion, our Diamond Earrings are sure to wow. View beautiful bracelets in Classic and Vintage styles. High-quality Necklaces and Pendants in a range of designs. Choose Platinum or 14 Karat White, Yellow or Rose/Pink Gold. Choose Platinum or 14 Karat White, Yellow Gold or Rose/Pink Gold.